Home » Home » Editorials » Did Anyone Actually Need for Lightning to Return? I was not at any of these press conferences. I do get press releases from Square Enix, where I have been getting information for a few months now about an “epic return to Lightning’s saga.” This generally passed me by, because it was not a saga I was personally invested in. However, I can offer some insight anyway. I’m a Game Developer, and I subscribe to Game Developer Magazine. 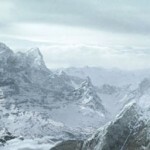 The postmortem for Final Fantasy XIII was printed there, over two years ago. Many gaming web sites repeated only the Gamasutra takeaway that the game “lacked a shared vision.” But reading the entire article is worthwhile. I have to give Square credit for being candid about the game when many JRPG developers would stay mum. The postmortem is overall pretty negative. The introductory paragraphs of the article, before any point-by-point analysis begins, say in part: “It seems standard to start a postmortem with the things that went right. However, in this postmortem, we’ll be taking a look at the project in the chronological order of events, which necessitates starting with what went wrong.” That’s not a great sign. Per this article, Final Fantasy XIII Fabula Nova Crystallis was, from the beginning, designed to be a series of games in a shared world. That’s the reason in the first place for the highfalutin subtitle. In some sense, there was always going to be a Final Fantasy XIII-3 (we have always been at war with Eurasia). It’s also important to understand, when Square talks about a “lack of a shared vision,” they aren’t talking about graphics. The visual style of Fabula Nova Crystallis was pretty well nailed-down from the start, from concept art and video trailers. The problem was they had no idea what the game was going to be, only what it was going to look like. Emphasize “an unspoken rule.” The postmortem also directly cites a lack of team communication being responsible for a lot of wasted work on behalf of game developers and artists. The bottom line: The FFXIII team had extra art. They had a lot of extra art, art that either wasn’t being used to its full effect in FFXIII once the full vision was finally realized, or, art that wasn’t being used at all. They had enough art to make another entire game… so they ended up doing that. And then again. Art is expensive. It takes up a lot of time and energy and those things cost money. Even for art assets that haven’t been created yet, it’s easier for a team to work around an already-decided style, re-using small components where needed, than to create an entirely different art style and direction. So, when Sophie Prell at the PA Report says “It’s also easy to be skeptical and to see this game as a way to re-use art, assets, and code to keep costs down while trying to milk the Final Fantasy brand,” I guess you can call me one of those people making that easy deduction. Do I believe the quote from Joystiq, where “Toriyama says that Square Enix heard from fans who wondered when Lightning would be back in a starring role.” Sure. Of course fans said something. Fans are CRAY. There’s always a fan of something who will say just about anything in its favor. But I doubt these fans are really the driving force in this instance. Even Lightning doesn’t buy it. If SquareEnix really was “listening to the fans,” they’d be remaking Final Fantasy VII. This is where some might break down and explain all the reasons they should; I will instead tell you why they should not and have rightly refused to: because, again, art is expensive, ya’ll. FFVII has a tremendous amount of content that probably would not be doable at today’s extravagant production prices. So as much as I’m cynical about the reasons for creating Lightning Returns, I do not blame SquareEnix for trying to make a single brand out of Fabula Nova Crystallis. I do not blame them for recycling assets and art style to maintain a high level of detail and quality. They thought this was what you wanted. Here’s what I will blame them for: a little sexism. Just enough to be annoying. Lightning is the first female protagonist of an FF game, now, because Final Fantasy VI wasn’t really about the adventures of women. Lightning will be able to change outfits and “her style” a lot in the new game, because Square doesn’t seem confident it can make an RPG about a woman without making it about dress-ups time. I’m not really against dress-ups time, but they already made that game, Final Fantasy X-2, which also apparently does not exist or is explicitly not about the adventures of women. It feels like they want to be on record as saying “this is our first female lead character” so badly, that they’re willing to throw all their other female leads under the chocobus. I don’t know about the rest of the world, but as a jaded once-obsessed Final Fantasy fan, no, this isn’t what I wanted. I’d rather have RPGs with simple graphics and a lot of heart than some slickly-produced high-resolution hyper-dramatic mess. I was enthusiastic about the nostalgia of Theatrhythm, but maybe nostalgia is all I have with Final Fantasy now. For the rest of you, there’s Lightning Returns. 21 Responses to Did Anyone Actually Need for Lightning to Return? Having only played Final Fantasy XIII for a few hours before giving up through sheer boredom and frustration, the continuation of this particular lineage of characters and “series” isn’t something I want from Square Enix. I’ve seen the reveal and subsequent reaction to Lightning Returns on my travels, and I can’t see a great deal of people who do actually want this, either. 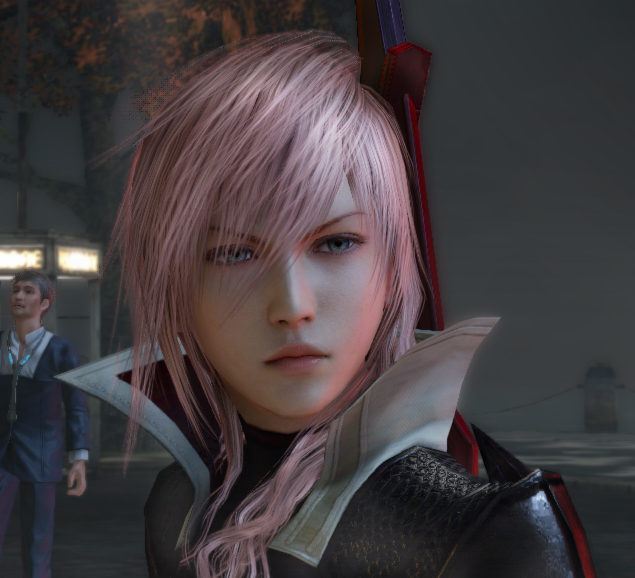 The impression I get is that Square Enix are desperately trying to force the Lightning character on to fans. A sort of “Do you like her yet? Well, do ya? Huh? How about now?”, presumably so they can carry on making games about her, and presumably so they can carry on squeezing what they can out of their investment in to HD development and the Final Fantasy XIII assets. Theatrhythm is excellent, though. I’m not the worlds biggest Final Fantasy fan and have only ever played 8, 9, 10 and 13 in any great detail, so the majority of the games music and characters passed me by from a nostalgia standpoint. But the music from the games I do recognised definitely tickled my nostalgia gland, and the music from the rest of the games was good enough for me to enjoy it. I loved the rhythm spliced with RPG elements. I don’t think I spent more time with a game last year actually than I did with Theatrythm. FFVII has a tremendous amount of content that probably would not be doable at today’s extravagant production prices. So our more advanced technology is making it impossible to do the stuff we used to be able to do, because it’s so expensive? That seems kind of f’ed up (says the guy who got to this site through text adventures). I guess that’s what you’re saying about “simple graphics and a lot of heart,” but are those days gone forever? but are those days gone forever? But yes, that’s essentially what I’m saying. It’s not that they couldn’t make Final Fantasy VII, exactly as it was, over again. But a remake would be a high-definition one held to today’s standards. The cost is prohibitive. As a (self-called) feminist and as someone who absolutely worships FFVI, I’m going to say that I think you’re insane if you think Locke was a more important character than Celes or Terra, or that the latter two didn’t have any real character development that didn’t involve a relationship with a man. They had oodles and oodles of it, and you’re wrong, and I will argue for that belief as passionately but civilly as I possibly can. I think this one has my interest solely because the development team is finally admitting that they want to make an action-RPG. The first two came off as them making an action-RPG, then feeling somehow embarrassed and throwing a bunch of menus on top so it wouldn’t be too out of place. But story-wise, yeah, I couldn’t care less. taking Arouet’s thoughts into consideration, it does seem like you are driving the idea that this is their first work with a central female protagonist, being that FFVI and FFX-2 didn’t have central protagonists. I think that’s fair, but it’s a bit fuzzy in the article. I think that SquareEnix is absolutely not the company they once were on so many levels that I don’t even compare Squeenix to Squaresoft. I consider them different companies working on the same IP. Nobuo Uematsu’s soundtrack for FFXIV is all I can think of that has the level of quality that Squaresoft produced at its best. Oops! No, I was actually arguing the opposite. In other words, I agree with you both as a feminist and FF fan! ACCORDING TO SQUARE Lightning is the first woman star in an FF game – which I think is absurd. My point here was: they’ve made games about women before but are denying that so badly… why? So we’ll like Lightning better? Uh… reading comprehension, people. It’s nice and useful. Arouet, Melodious Punk, Amanda used irony to make that exact point. Square is pretending that FFVI and FFX-II didn’t exist, just to market this latest cash cow as their “first” female-driven story. No worries, we’re all in agreement. I hope my clarifications made sense. EDIT: I added some context and relinked the article where Square made that claim about FFVI (it’s their claim rather than mine). 1984 was a damn fine year. Oh, what’s that then, there’s another Final Fantasy sequel-sequel? Ho hum. What ever happened to XIV? Does that game exist? It’s another MMOG, right? So many FF games it’s hard to keep track. Wow. I don’t normally miss sarcasm that badly. Well, what is Squeenix going to say? Yes, as storytellers we’ve been steadily marching backward with everything we’ve done after FFX and we’ve totally forgotten how to do anything other than play around with stereotypes and caricatures at this point? They’re not going to say that. I still don’t understand why they aren’t remaking 7. If you can’t afford all the bells and whistles with modern technology, then make compromises. Nobody will care! It’s FFVII for crying out loud! The fans won’t care! Reading their explanation, it sure sounds like a matter of pride to them – if they gave in and remade it they would be admitting that noone really cares about the next Final Fantasy. You look at Square-Enix (by “you” I mean “me” – or, rather, “I”), and you think… that’s a company that’s lost its way. That’s a developer that still has a chance to get it together, but year after year, game after game, chance after chance, they can’t seem to get that spark to hit the dry grass. And despite the firm’s fairly deep pockets, there are only so many chances they’re gonna have at this. Final Fantasy XIII intrigued me in a lot of ways, but chiefly I think I enjoyed the battle system so much, and was unsurprisingly so bowled over by the lavishness of the production values, that it took a while for me to lose interest. Longer than it should have. That, and it was my first Final Fantasy since FFI, and I sort of felt like I owed it to myself. I can’t say I was precisely disappointed in FFXIII as a whole, though I was very disappointed in many of its parts. I never bought FFXIII-2 and probably won’t buy Lightning Returns. This whole “Lightning’s our first female lead” thing is weird. Of course she’s not their first female lead. I guess that maybe you could say she’s their first solo female lead, as the others mentioned above tended to share top billing with others, but that doesn’t seem like much of a distinction. Personally I liked many aspects of Lightning’s character. I feel that in the hands of more talented writers who had more interest in crafting emotional depth and complexity, she could have been truly fascinating. But you don’t see that at Squeenix; you see focus on limpid melodrama and sweeping, nonsense plotlines, but very little on characters. In all honesty I also played FFXIII for so long because I liked Lightning and wanted to learn more about her; in the end, though, I realized that the tiny dribs they meted out every ten hours or so just weren’t worth the effort. And from what I can see of Lightning Returns, they’re not going to redeem themselves, at least not from the perspective of character development. I firmly believe that Square-Enix CAN turn itself around. Not quite sure how yet; I don’t have some vision for the company or anything. But I believe there’s still time, and I believe that it’s possible. It just needs to start making the right creative decisions, it needs to address its considerable internal development problems, and it needs to take a serious look in the mirror and ask itself what it is. Then I’d go back to the office in Japan and start the hard job of changing the culture. I think it can be done, but to do it they might need to kill their baby. Or, you know, hand it to someone else, if that metaphor’s less creepy. Phew, that was scary. Imagine if you had a friend of twenty years who loved classical music explain to you that he’d never actually heard anything by Beethoven before. Heh heh, oh no, I’ve heard the music – in fact I’ve been pretty familiar with the series over the years, through friends and my job. Just never got around to playing them myself. I’m going through that right now with Persona 3. Not hear Uematsu’s music? Heavens no. Video Games Live is worth it for that alone, though it’s worth it for plenty of other reasons as well. I’ve heard many point to the failure of Square’s movie hopes with the abysmal “Spirits Within”, and its subsequent purchase by Enix as the beginning of the fall, but that ignores quite a long history of delivering half finished games and half baked stories. Just consider the second half of Xenogears, Chrono Cross’ wacky convoluted story and hours of padding thanks to two mirror worlds that are carbon copies of each other, or Saga Frontier’s unfinished final chapter. Don’t get me wrong, I’v enjoyed moments of each one of those games, but I don’t revere them to the extent that others do. Really, to me it feels like many of the third acts of Square’s games for a long time have gone off the rails. Its as if they start to lose interest in what they’re doing after they’ve created the opening FMV. I wonder if the runaway success of FFVII could have actually been the trigger of this slow descent, when spectacle became a driving force for creating these games. If so changing the culture at Square may be a challenge too large to overcome. Actually, it’s interesting: one of the difficulties cited in the postmortem I mentioned is that the studio was also trying to change to a “more western style of development” but did not seem entirely clear on exactly what that meant. I think FFXIII represented an attempted change in the culture that was undergoing some growing pains and probably didn’t stick. I agree that Square learned the wrong lessons from the success of FFVII. Sometimes I wonder what RPGs (or just games in general) would look like if that game hadn’t existed. Having completed FFVII, VIII and VI, in that order, I’d say that VIII was a natural progression from VII which was from VI (I played IX only briefly but that seemed a lot more grassroots-y). Large parts of VI reminded me of VII in that they were very dramatic and sweeping and romantic, only it was restricted somewhat by the tech. In the closing moments of the game you could see Square squeezing every ounce of power out of the 16-bit system. The Playstation had the capacity to really unlock the grandiosity that was there all along and damn, was it impressive back then. Indeed, like Joel N says, spectacle seems to have become the driving force for the series with each successive entry being even more grandiose than the last. I haven’t been excited by a Final Fantasy since VIII and to a certain extent IX, though, and I put that down to me ‘growing out’ of (or at least becoming jaded with) the same sorts of themes/elements appearing in each game. I heard XII was terrific in various ways but I’m reluctant to sink so much time into it to find out. Anyone have any experience with it? AJ, that phrase “become more western…” always gives me shivers. Do we all agree that the one thing Japanese developers do not need to become is more western? Isn’t it their eastern sensibilities which caused so many western gamers to fall in love with their games in the first place, at least in part? Just for the record, I am not a Final Fantasy player. XXIII looked like a confused mess to me, on the surface at least. But there are Japanese games which I absolutely adore (Persona 3 as Steerpike mentioned for one) and which I find completely engrossing partially because of their alien-ness to my western mind. I have no idea what Square-Enix, as a developer needs to fix. But what lessons are they learning from XXIII on the financial side? Was it a commercial success? I agree with Botch – don’t get me wrong, my suggestion wasn’t meant to imply that Japanese games become more Western. Every time (well, almost every time) an eastern developer tries to be something it isn’t, the result is disappointing. No, I believe that Final Fantasy should temporarily go somewhere else, maybe to someone in the west, not to de-nipponize the game, but as a symbolic and violent excision of their most precious thing. Square has clearly lost sight of itself; I think that’s because it’s too deep in the forest to see the trees. Long years have accumulated bad design practices, bad workflow, bad corporate culture, bad budget management, bad marketing and bad outlook to the point where these things are caked on so thick that the old Square, even Square-Enix, is utterly encrusted. If George Lucas had handed Star Wars over to someone else, someone he trusted but who had freedom to work with the universe, we might have seen a great prequel trilogy. Instead Lucas did it himself despite being the least qualified person on earth to run that show. The Final Fantasy franchise is in a similar situation. GRIN was supposed to be working on a Final Fantasy game of some sort before they got shut down, but to be honest GRIN isn’t the studio I’d have chosen for the franchise, any more than Lucas would have been wise to ask Oliver Stone to direct the Star Wars prequels. When you kill your baby you give its corpse to someone who will treat it right; we see the same mistake when Nintendo gave Team Ninja, of all places, a Metroid game. If Lucas had handed Star Wars to Antoine Fuqua, say; or Edward Zwick, or Mimi Leder, or Matthew Vaughn, or Catherine Hardwicke, or Sam Mendes… that might have saved the franchise, or even launched it to greater heights. Riskier but potentially more interesting choices might have included Guillermo del Toro, Gore Verbinski, or Alfonso Cuaron. In any case Lucas would have had to give them the reins and then leave, possibly in tears. He couldn’t just hover around the set and influence the thing, and neither should Square if it lets someone try to reboot Final Fantasy. You choose someone you know will respect your creation, and understand that they’ve been brought in to save it, not violate it. Meanwhile they, whoever they are, recognize that they’re holding something precious in their hands, and they must treat it gently even as they trust themselves to do what needs to be done. To answer your question, Botch, FFXIII was a financial success. At the very least it broke even, and probably saw a modest profit. Much of that probably went toward containing the disaster that was FFXIV, but as far as I know Square’s on okay financial footing. Of course, FFXIII-2 sold less than half as many units as FFXIII, a potentially dangerous trend. Half the people who bought Final Fantasy XIII were disappointed enough to skip the sequel; Square is taking quite a risk trying it again – a risk compounded by the fact that they haven’t exactly hit anything out of the park for a long, long time. If you wanted to make a great Star Wars trilogy then you need a great writer handling the story much more than you need a great director, whatever auteur theory (which was really invented as a self-promotion device by directors) might tell you.